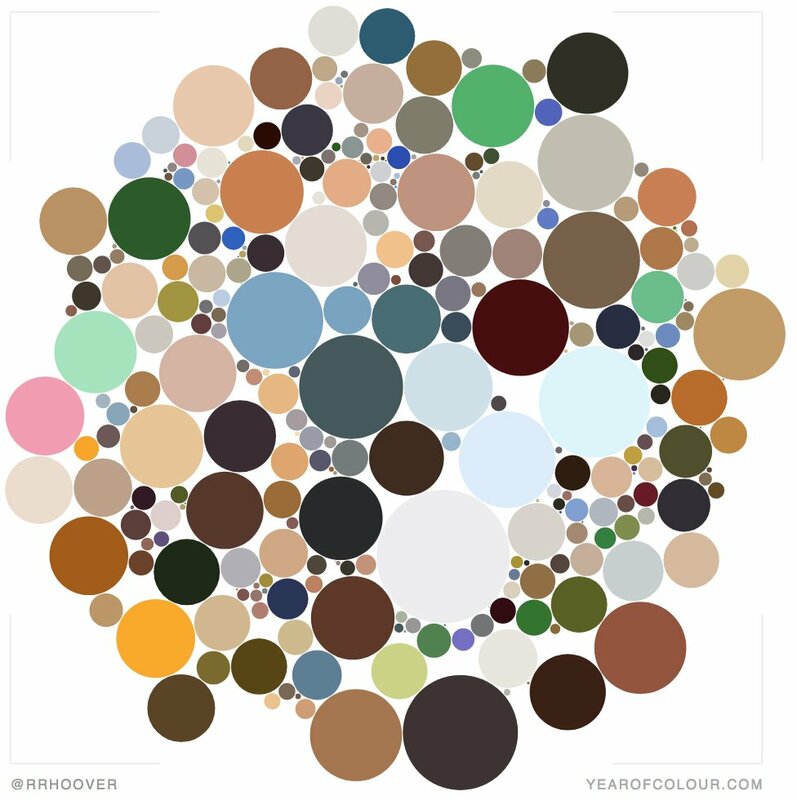 Year of Colour is a data visualisation tool for Instagram that shows you the colours you've used in your posts throughout the year. 'Year Of Colour' Visualizes The Hues That Dominated Your 2018 Instagram Posts - DesignTAXI.comIf you've been scrolling through Instagram in the past week, you're likely to have seen those collages containing users' "top nine" posts from 2018. Why not share something new for a change? 'year of colour' app by makelight generates your instagram palette from 2018the 'year of colour' app by makelight tracks the most popular and predominately used colors from your instagram photos over the past year. Create Your Own 2018 Instagram Palette With This Cool App - Geek.comYou might've shared your top posts on Instagram for 2018, but there's a new way to see which colors dominated your Instagram feed last year. Year of Colour, a new web app, analyzes your Instagram pictures and creates a data visualization that resembles a colorful mosaic. A new app lets you track the most popular colors in your Instagram photos in one beautiful, minimalist chartA web app called Year of Colour combs through Instagram photos to find the most vibrant colors reflected in top posts. App creator Stef Lewandowski told The Verge he was inspired to create it by his wife, Emily Quinton, who runs the company Makelight, which helps Instagrammers make their profiles pop. Generate your own 2018 Instagram palette with Year of ColourHow well curated was your Instagram feed in 2018? Year of Colour is a new web app that takes all the snaps you've shared over the last 12 months (or a custom period of your choice) and pulls out the dominant shades to create a personal bubble diagram. Track the colors of your 2018 Instagram photos with this new web appIf sharing your top nine most popular photos wasn't enough, now you can look back on the colors of your year with a new web app that creates a mosaic using the most common and popular colors across your Instagram photos. See which colours dominated your Instagram posts in 2018You might've already put together your top nine posts on Instagram for 2018, but there's also a way you can see which colours dominated your posts this year. Year of Colour is a web app which builds a visualisation of your posts, arranged in a cluster of cute, different sized bubbles. Would you recommend Year of Colour to a friend? Intuitive, easy to use and fun! Ant Stanley 💷💣 has used this product for one year. Always curious to see what is the next thing that Stef comes up with. Why is it physically impossible to resist these little novelties that ask only for our complete social profile and history? I'm not against it - it's just incredible ROI, building these things. @rrhoover thanks for trying it out! That definitely looks like your colours. Surprised not to see a PH orange in there though? Great work @stef ! Different filters at the top are quite fun! @nikitakorotaev Cheers! I think that the way people perceive their own accounts is sometimes a little at odds to the actual pixel colours that they contain, so I'll probably be adding a few more options there. The main one is a "skin tone" filter, which obviously has to handle a wide range of colour values to work. For instance, a nail artist cares about the nail colours, but in the photos, there's a lot of "hand" which isn't relevant to her perception of the colours she's posting.